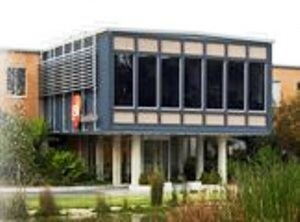 Leading research-based pharmaceutical and healthcare company GSK Australia has been awarded a $1 million grant through the Federal Government’s Manufacturing Transition Programme to expand production at its Boronia manufacturing site. According to the press release by GSK, the funding will support the company’s advanced manufacturing expansion plans and allow its technical experts in Boronia to continue to enhance “Blow-Fill-Seal” (BFS) technologies. Dave Morley, Site Director Boronia, GSK Australia, said the expansion program would further the company’s position as a leading manufacturer of sterile liquid pharmaceutical products. “This grant will enable GSK to continue exploring the development of cost-efficient medicines which will not only benefit patients, but also help support the Australian manufacturing sector,” Mr Morley said. GSK is a leading healthcare company which has been providing the highest quality medicines, vaccines and over-the-counter healthcare products in Australia since 1886. The company employs about 1500 staff across the country, including over 360 workers at its Boronia site in Melbourne’s outer-eastern suburbs – GSK’s largest sterile manufacturing site which exports product to more than 30 countries around the world.